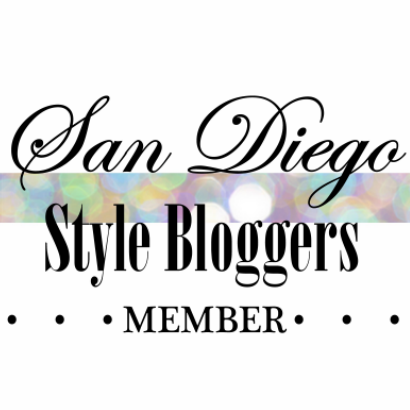 Hi San Diego Style Bloggers, it’s Devon from Seventeen Dresses. I don’t know about you, but I can't resist a good consignment store. If you haven’t already been, you have to check out La Femme Chic Consignment in Solana Beach! After meeting at a dog park in Del Mar, owners Debra and Mindey became fast friends. The two ladies combined their business-savvy minds with their love of fashion, and made La Femme Chic Consignment into what it is today. Entering the shop is like walking through your dream closet. With dazzling chandeliers and vintage Chanel, what more could a girl ask for?! Needless to say, I had a blast catching up with Debra and Mindey, the fabulous owners of La Femme Chic. Q: Are you originally from San Diego? What part of town do you call home? A: Neither Mindey or I are native San Diegans. Mindey was raised in LA and I am British, born and raised in London. San Diego has been my home for 5 years. Q: What inspired you to open La Femme Chic? A: Purchasing LFC was Mindey's brain child. After founding the successful Del Mar Dress Company, she seized the opportunity to buy LFC from owners who were not making it work. I approached Mindey to join the company as a partner nearly two years ago as I was both intrigued and fascinated by the concept of smart designer shopping at more realistic pricing. Q: What do you love most about running your own shop? A: Personally I love being responsible for making someone so happy with their new purchase. Our items are selective, high end and really special so to find someone who loves something that they may not have had the opportunity to purchase in the original store is wonderful. I also love the idea that we are building a brand that is consignor centric, putting the people who own these amazing products first and then finding a new home for their once loved designer pieces. Q: Did you always have a passion for fashion? A: I wanted to be a fashion designer when I was young but instead took a more academic approach to my studies and work. LFC feels to me like I have a second chance at that first, young dream. Q: What is your favorite piece that has been consigned? A: There have been so many that it's difficult to choose but, one piece that sticks in my mind was a Valentino dress that was just gorgeous. A customer came in with her husband and when she tried it on, the store went silent and her husband's mouth dropped. It looked as though Valentino designed it just for her and at a fraction of the original price, our customer was very happy. A: I spent my summers coming to San Diego with my family for the beach and horse racing. I finally moved here over 20 years ago. A: We started Del Mar Dress Company three and a half years ago. It all started over a cocktail. Me and my friends were wondering what happens to all the gorgeous dresses that are only worn once and two weeks later our company began. Last week we had our two year anniversary in our current location! A: Same as Deb's answer for why she loves owning our shop. Also, the this is like my fantasy wardrobe. Everything that comes in I love. I only wish that all of these pieces were for my personal closet. Q: Did you always have a deep interest in fashion? A: My Mother worked in the garment district in downtown LA. We went to fashion shows and wore beautiful clothes. I always loved shopping and dressing my very stylish Mom. Since then, I've just always loved fashion and labels. A: There have been many favorites; currently we have a ridiculous stunning pair of Louis Vuitton alligator boots. Yes, the Valentino dress was also stunner as is the Chanel coat we currently have. I can not help but admire it daily.